Every year Woodsen & I try to finagle our work schedules to get a chunk of time off during the summer to explore a new part of Alaska. This year we decided on heading to the Seward Peninsula for our 3 weeks off. We spent 10 days on the Peninsula then decided to follow the Yukon River over to Fairbanks then head south to Mccarthy and the Wrangell Mountains for the 4th of July. We hit an amazing weather window and had quite the adventure. 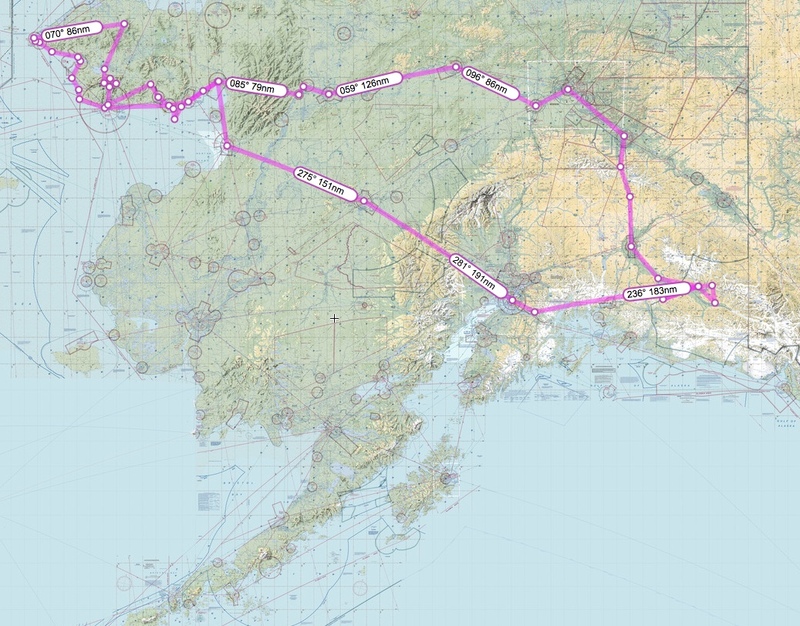 We flew over 2,00o miles, saw Russia from Wales on the tip of the Seward Peninsula then we were within 10 miles of the Canadian border near the end of our trip. We covered so much ground and there are soo many pictures to share! Stay tuned as I sort through pictures and share them with you over the next few blog posts! ← Johnson Pass- First Ride of the Season!